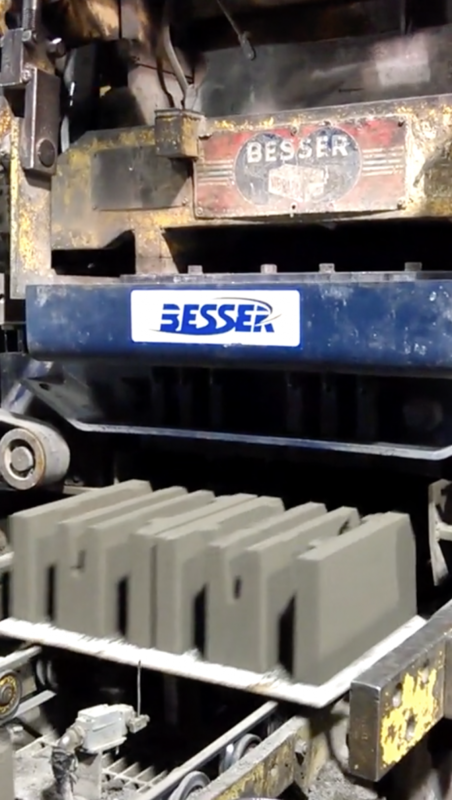 The video shows two Omni Block 12″ stretchers being manufactured on a Besser V312 machine. The cycle times on this run were slightly under 9 seconds. 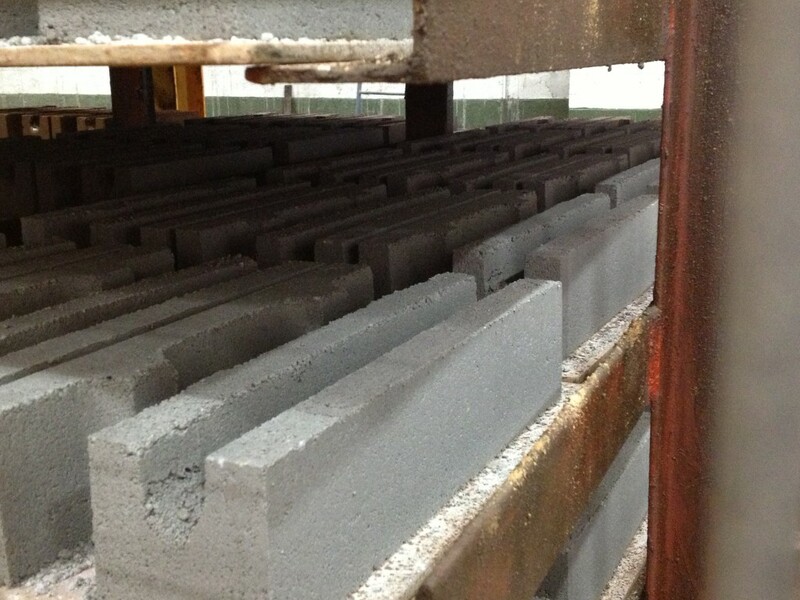 Omni Block is manufactured the same with the same mix as any standard concrete block. This video shows an Omni Block Left Corner, Stretcher, another stretcher and Right Corner (all System 8) coming off of a Besser four at a time machine. Operators report back all the time that Omni Block has the same cycle times or just a tenth or two longer. Omni Block, a leader in insulating wall systems, has developed an insulated 8″ wide x 4″ tall x 16″ long (nominal dimensions) block. The new design was manufactured by Adams Products (an Oldcastle Company) in North Carolina on a new mold produced by Besser Company. Omni Block is marketing the 4″ tall (3 5/8″ actual) as Omni Brick. 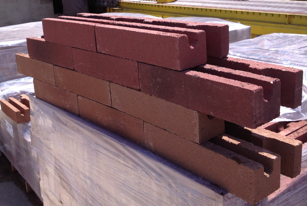 Omni Brick can be manufactured in many colors that very closely resemble clay brick. Omni Brick is designed with off-set and constricted cross webs with a middle lineal wall that further delays any heat transfer. 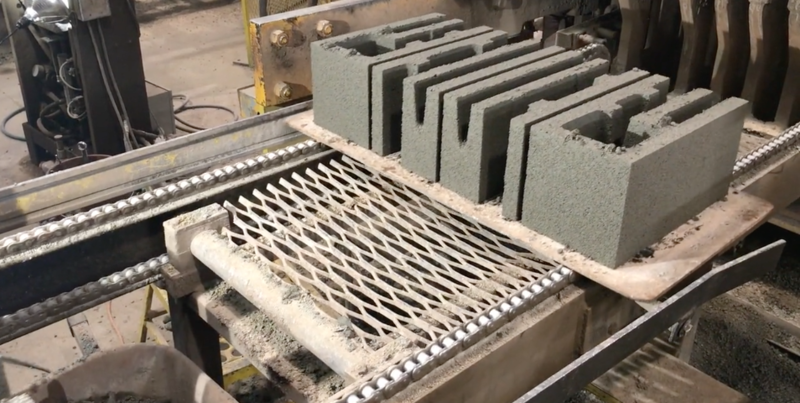 It is insulated with the same type of EPS inserts as Omni Block, which protrude beyond the block both vertically and horizontally thereby insulating the whole wall not just individual blocks. It is this combination of thermal mass and insulation that provides for an energy efficient wall assembly. Now a building can have an exterior and interior “brick look” in one insulated wall. If the interior finish is to look like drywall, all that needs to be done is a coat of standard drywall compound troweled onto the block, textured the same as all other interior drywall, primed and painted. The photo below shows two colors; Richfield and Sandlewood fresh off the assembly line (note that mortar is used in an actual installation). 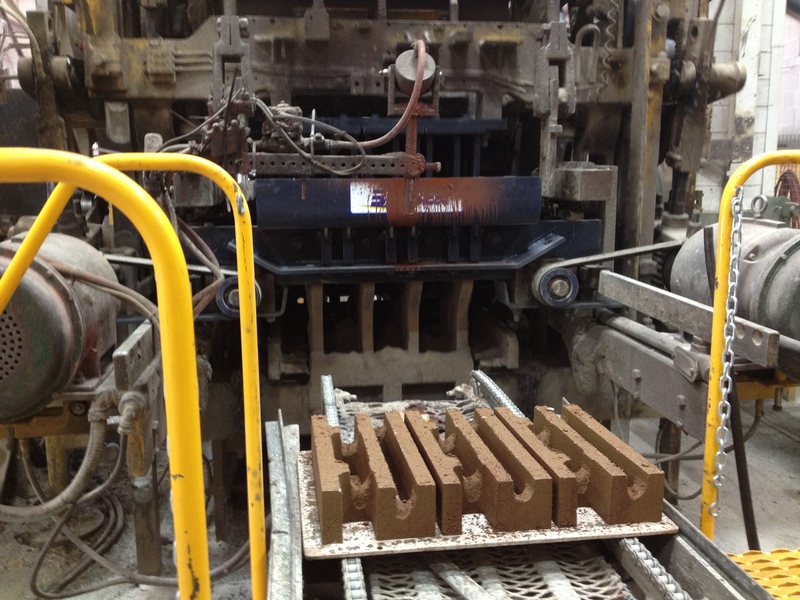 Omni Brick is a structural block and is reinforced with rebar and grout. Omni Brick is aesthetically pleasing and finished installed costs are significantly less than other building systems that require a frame wall veneered with brick, insulated and drywalled on the interior. 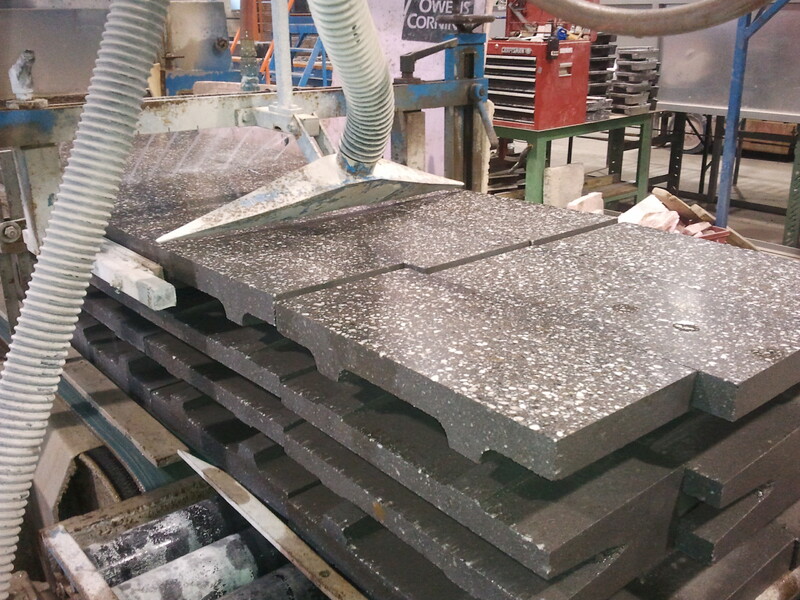 Boston – Omni Block System 12 seen here rolling off the burnishing machine. The integrally colored burnished block is being installed in a climatically controlled self-storage facility. Notice how precise the edges are after the burnishing of the block. This type of precision is not typical when burnishing standard block.